Welcome back. If you are a medical aspirant and would like to know about AIIMS Medical entrance and JIPMER, this post is for you. Here you’ll get every single details about the both examination. 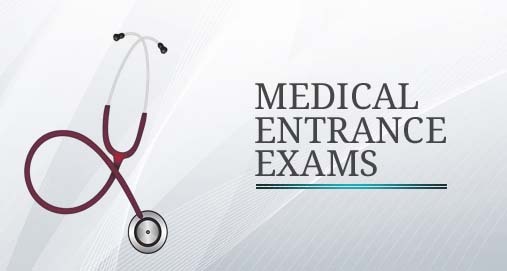 AIIMS Medical Entrance Exam: It is the toughest medical entrance examination in India. The exam is conducted by the All India Institute of Medical Sciences (AIIMS), New Delhi. AIIMS Mbbs entrance is a national level test conducted once in a year to fill the seats of 7 All India Institute of Medical Sciences(AIIMs). Any one who have completed their 10+2 with English, Physics, Chemistry and Biology as compulsory subjects can appear on this test. Candidates, who are appearning their 10+2 can also apply for the test. Minimum age limit for AIIMS Medical Entrance Exam is 17 years. Speed and accuracy both are very important to get success in such examination. Total 200 nos of questions are there in the booklet and all questions are based on GK, Chemistry, physics and Biology. Syllabus is very wide and is decided by the exam conducting authorities. In 2015, AIIMS entrance exam will be held on 1st June and the result will be declared on 1st week of July. The application process is easy and can be completed through online mode. Always remember, preparing for a competitive exam like AIIMS Medical Entrance Exam is not so easy. You need year long preparation to crack such entrance exam. We recommended you to visit collegedunia.com to get more details. JIPMER Entrance: Another popular and famous medical entrance examination for medical aspirants. This exam is conducted by Jawaharlal Institute of Postgraduate Medical Education and Research (JIPMER), Puducherry. Every year lakhs of students from every part of India seat for this exam to fill up 150 seats. In 2015, JIPMER entrance examination will be held in June 07 and the result will be declared on June 15. The last date of application is May 4, 2015. Like AIIMS medical entrance, JIPMER also has total 200 questions. Out of which 20 questions related to English, Quantitative Reasoning and Logic and remaining questions are related to Physics, Chemistry, Biology. To know more about JIPMER entrance please visit wikipedia. Thanks for reading. Still you have any doubt, please let us know in the comment section. We’ll get back to you very soon.